"Hochgeschwindigkeit auf Finanzmärkten – Fluch oder Segen?" 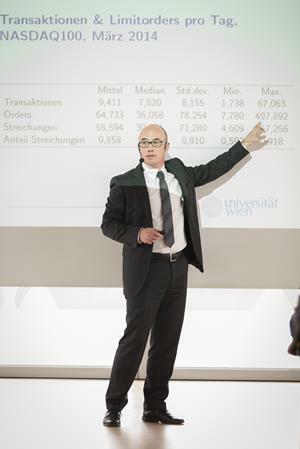 The availability of financial data recorded on high-frequency level has inspired a research area which over the last decade emerged to a major area in econometrics and statistics. The growing popularity of high-frequency econometrics is driven by technological progress in trading systems and an increasing importance of intraday trading, liquidity risk, optimal order placement as well as high-frequency volatility. 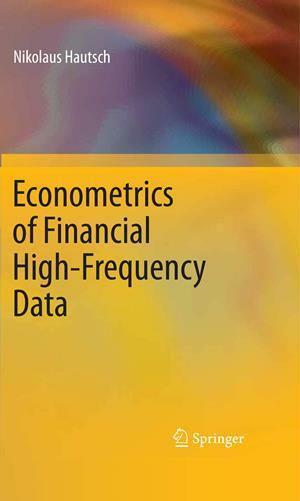 This book provides a state-of-the art overview on the major approaches in high-frequency econometrics, including univariate and multivariate autoregressive conditional mean approaches for different types of high-frequency variables, intensity-based approaches for financial point processes and dynamic factor models. It discusses implementation details, provides insights into properties of high-frequency data as well as institutional settings and presents applications to volatility and liquidity estimation, order book modelling and market microstructure analysis.